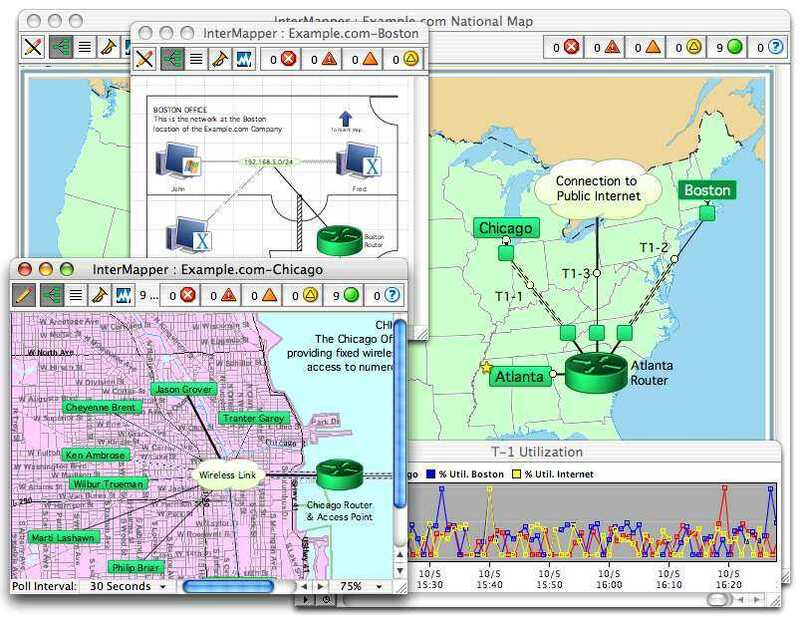 InterMapper®, Dartware's flagshipnetwork management software, allows network managers to map their networks for easy access to real-time status reports and problem alerts. 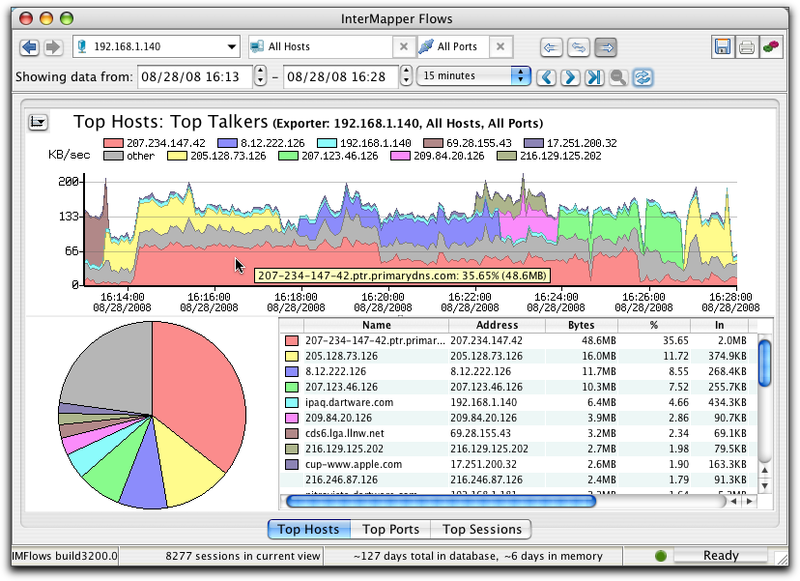 InterMapper Flows®, NetFlow analyzer, is integrated with InterMapper maps giving you an overview of all network devices and connections and one-click access to detailed network traffic information. 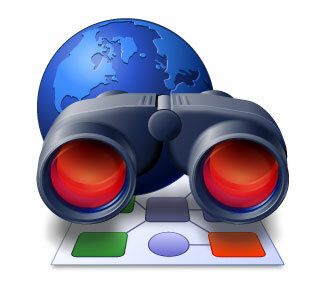 You'll quickly locate bandwidth hogs and note network traffic trends. InterMapper RemoteAccess™ remote network mapping software enables IT groups to manage the InterMapper server and keep tabs on network health from home or satellite office locations. InterMapper network monitoring software visually alerts you to outages, decreasing bandwidth, increasing network traffic, unusual error rates, and abnormal usage patterns. View maps and charts, and configure your InterMapper server in real-time from any connected, remote location.